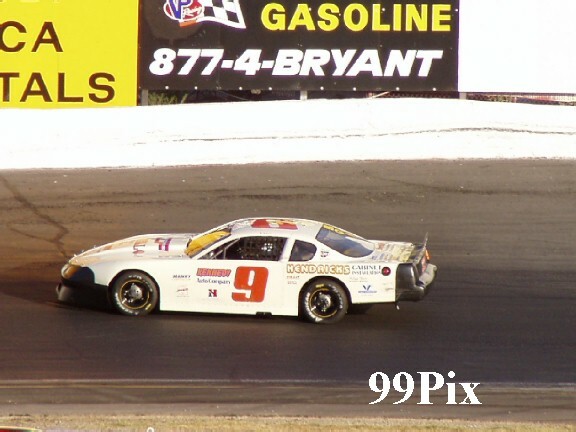 STOCKTON 99 SPEEDWAY, SATURDAY, JULY 10 -- Pacific Grove's #9, Dave Byrd did it again! For the seventh time this season he captured the HAVOLINE Western Late Model 30-lap main event win during DODGE Weekly series NASCAR racing. Byrd started five deep on the inside, by lap-12 he had worked his way up to third. 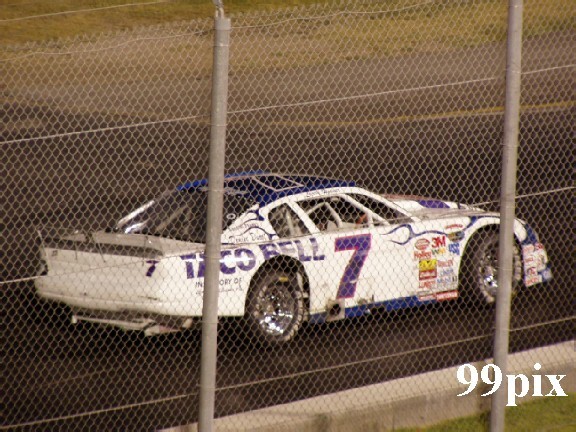 Then, on a restart, Turlock's #7, Larry Hoover dropped out of the race giving Byrd the outside pole position. When the green waved Byrd quickly leapt into the lead and held it throughout the race. "We have a great car," said Byrd. "We got a few breaks with traffic. It feels good to win on a double points night." 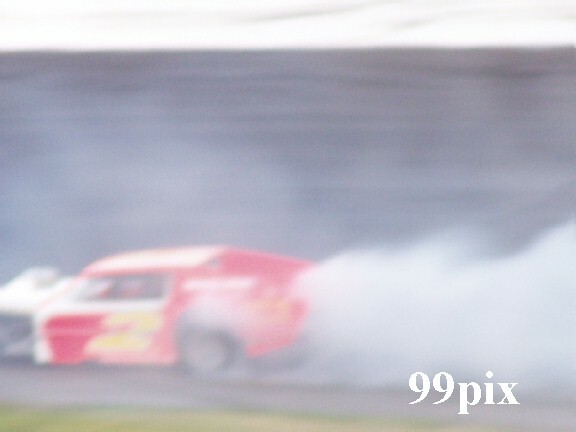 Although Byrd made the race look easy, the 30-laps on the area's only NASCAR quarter-mile oval were challenging. Coming in a close second was Granite Bay's #27, John Moore, followed by Manteca's Guy Guibor with Stockton's Danny Contessotto finishing fourth and Stockton's Pete Anderson ending at fifth. Fans watching the Western Late Model rockets screaming around the CL BRYANT sponsored track saw a clean race, with only two yellows, with the second in lap-29. 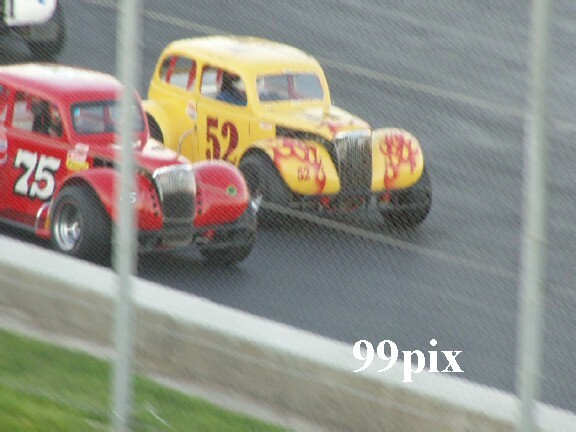 Pure Stock fans saw plenty of excitement Saturday night Nineteen cars started the race, with Stocktonians Bob Simpson, #83, at the Pole and #66, Ken "The Rat" Ratcliff at outside pole. The Rat jumped to a quick lead, but by lap-4 Manteca's #40, Johnny Cordoza jumped into the lead, widened it by lap-9 and he then cruised to victory. Following his second win of the season, Cordoza said, "It was a nice clean race, we haven't been out every time this season but I want to come out more." 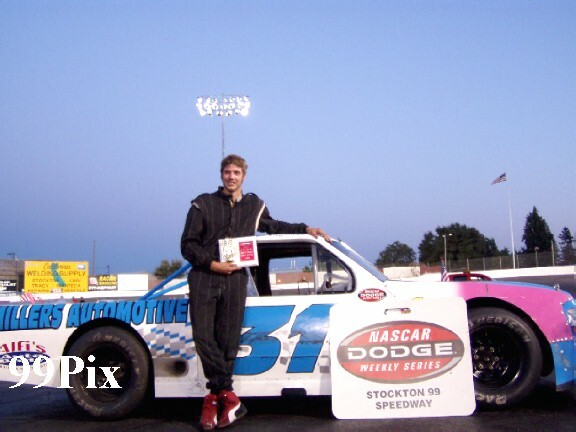 The 30-lap main wasn't the only excitement and drama that the Pure Stock division offered Saturday. During qualifying, Modesto's Charlie Clawson -- last week's winner and a front-of-the-pack regular -- appeared to have broken a track record with a 16.516 run. The tech inspection revealed that Clawson's motor had a few too many cubic inches in it, and he was disqualified. 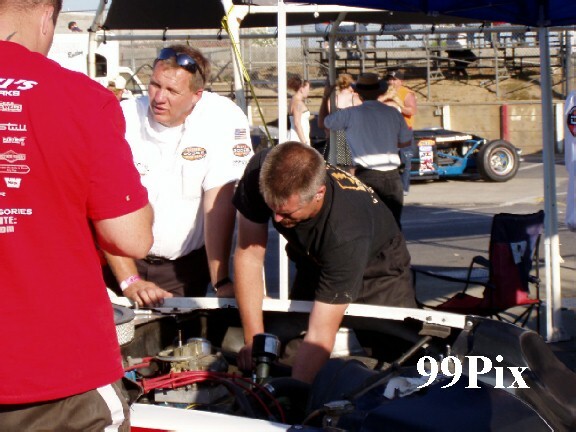 Following the DQ, Clawson took over the controls of number 11, the car of Sonora's Tom Dibble. 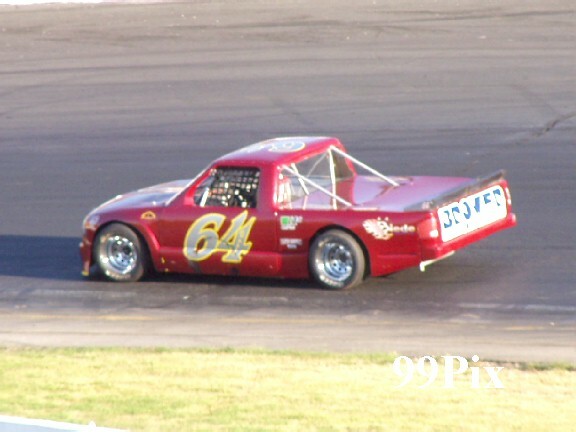 He finished at the lead of the "B" main, but a tech inspection earned him another DQ when car height turned out to be a problem. Ratcliff finished the main in second, Simpson finished third, Galt's John Medina came in fourth and Stockton's Dave Ball grabbed fifth. 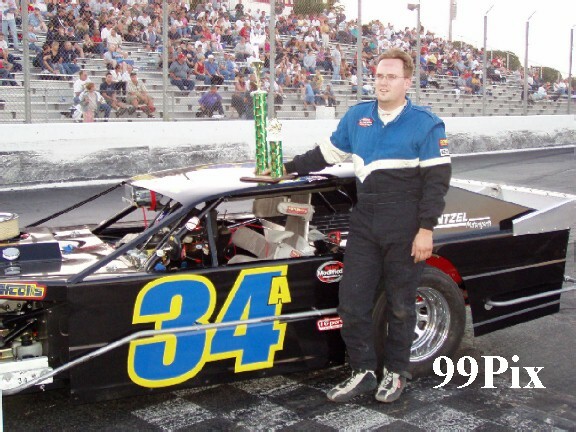 If Campbell's #31, Chris Drysdale isn't breaking a track record in qualifying, he's capturing the checkered flag in the main event. Once again the 21-year-old out of the Bay Area won the main, and once again he did it with a commanding lead. "I had to work for it," said Drysdale. 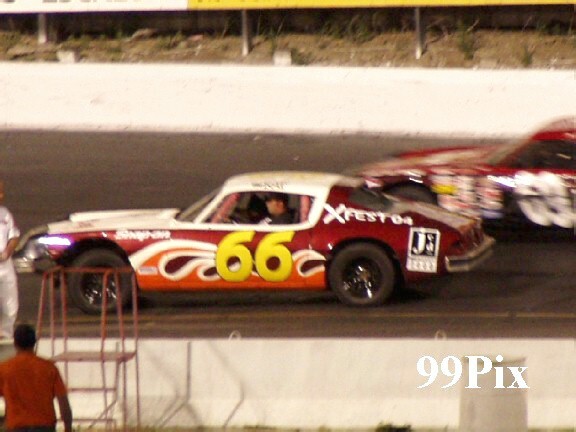 "Danny (Lodi's, #64, Danny Basto) gave me quite a run, he was on my bumper all night." Drysdale didn't take much credit for the win, saying, "It's a great truck, the guys at the shop built me an awesome ride, it's hard to beat that." Drysdale's truck comes out of Miller's Automotive of Campbell. 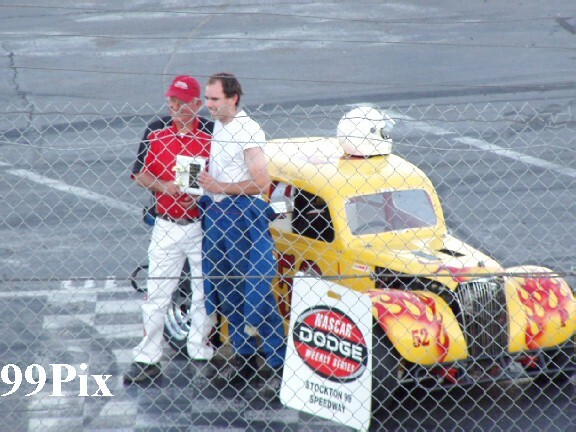 Not be outdone by Drysdale, Lodi’s, #48, Mike Curry set a new track record in qualifying of 15.432. The previous record was set on June 19 by Drysdale, 15.478. 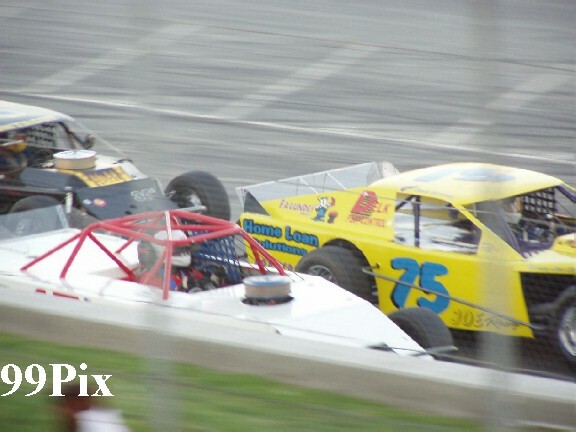 Stockton’s, #75, Joe Allen started at the pole, but Newark’s, #34, Ted Montague IV made a fast dash to the lead at the opening of the race and held it through to the end. “At the very start I had to get past a couple of cars and hold the lead,” said Monatgue. Who also won the main on Saturday, Jun 19. 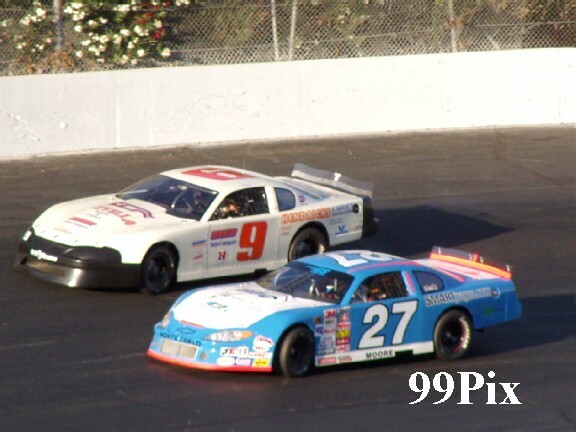 Monatgue’s real challenger in the race was Galt’s, #2, Jason Kerby. Kerby was making his way through the pack to get to within a quarter-lap of Monatgue, then, on lap-26 Stockton’s Joe Allen slammed it hard into the outside wall in turn-4. The restart pitted Kerby and Montague at the inside and outside poles. Monatgue took a quick lead, Kerby tried to take him on the inside and outside, but it couldn’t be done. Kerby ended up with second, Modesto’s Mike Beeler, #15, took third, Stockton’s Chad Holman, #7, earned fourth and Stockton’s Stewart Cullom, #11, finished at fifth. Stockton 99 Speedway’s little guys were back in action. 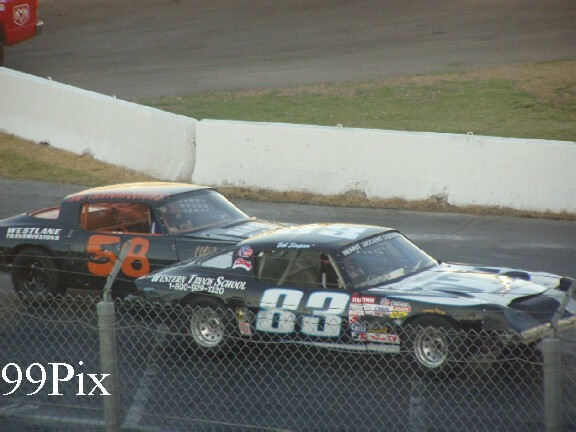 Saturday night saw Cupertino’s, #52, Ryan Mosher capture the win. Coming in second was Wilton’s Jason Fensler, #75, who won the SRL Wild West Shootout 100-lap main event last Saturday, Sebastopol’s Frankie Winchel captured third, Elk Grove’s Chuck Scott earned fourth and San Lorenzo’s Mark Bailey took fifth. On Saturday, July 17 Stockton 99 Speedway will host Bay Cities Racing Association’s Midget championship race, plus Vintage division and USAC Ford Focus Midgets, presented by California Ford dealers. 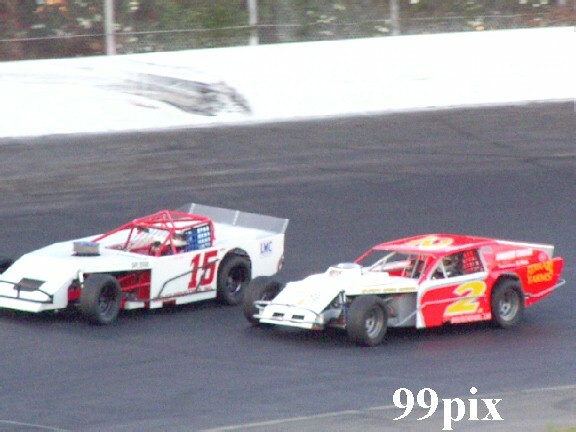 There won’t be any Grand American Modified or Legends racing that night. Official qualifying runs start at 4:30 p.m. Dashes, heats and preliminaries start at 6 p.m. Six big main events to follow. 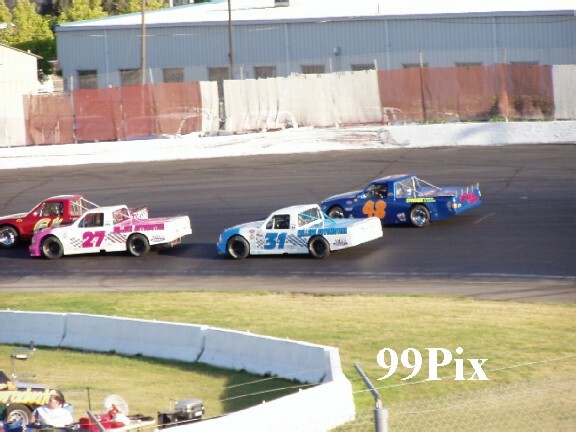 Admission to the area's only NASCAR Saturday night family entertainment is $15 for adults, children 5 and under free, juniors and seniors are $10, children 6 to 12 are $5 and family packages for two adults and up to four kids under 12 are $39.99. VISA and Mater Card are always welcome.